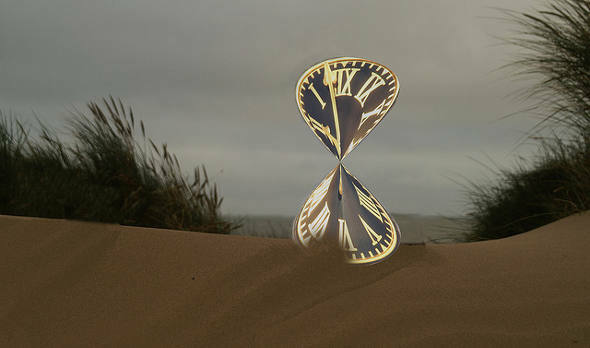 If you’re like many freelancers, one of the reasons that you became a freelancer is to gain more control of your time. And it is possible to have more time as a freelancer. After all, no one will tell you what to do or when to do it. Plus, you likely don’t have a daily commute any more. But there are time demands on freelancers that most of us don’t think about until we face them. You may have to put up with interruptions from friends and family members who think that because you’re home you must be available. You may underestimate the amount of effort a project actually requires and wind up scrambling to meet the deadline. Or you may fall victim to procrastination and wind up not getting enough work done. In this post, I’ll share over 20 tips to help you better manage your time. If you like this post, you may also like the post Stop Wasting Time Today. Plan Your Time. The best way to use your freelancing time wisely is to plan it. Set a schedule for what you plan to accomplish each day and when you plan to accomplish it. I use to-do lists for this, but you may wish to use a planner. Schedule Appointments. Many freelancers allow themselves to be available 24/7 through chat or instant messaging. While this may seem like a good idea at first, once you’ve gotten a lot of clients you may find this to be a major time drain. Limit Social Media. Social media is a wonderful tool. But, unless your freelancing specialty is your social media expertise, you shouldn’t spend all day on it. When you plan your time each day, allow an hour or so for social media participation. Check Email Twice a Day. Have you ever fallen into the trap of checking your email constantly? I have. The truth is that most freelancers don’t need to check their email more than twice a day. Nearly all messages can wait a few hours for a response. Cut Out Negative Self-Talk. You ARE good at what you do. You’ve done a good job for your clients in the past. Your clients trust you to do a good job with your current projects, or they wouldn’t have hired you. Don’t waste time on self-doubt. Use Time Management Tools. There are many excellent time management tools available. Spend an afternoon finding the time management tool that really works for you and learn how to best make use of it for your situation. Upgrade Your Equipment. How long have you had your computer? What type of Internet connection do you have? When was the last time you updated your software? Outdated tools and services can really slow you down. Set Goals. Where are you taking your freelance business? What do you hope to accomplish? Whether you want to expand your business or just find more personal time, you’ll never get what you want from your freelancing business unless you set some goals. Get Help If You Need It. Too often freelancer try to do everything themselves, but your freelancing business really is better off if you focus on those tasks that you are best at and hire someone to help you with the others. Remember That You Are Running a Business. You may not have a formal boss, but running a business is a job just the same. Treat your own business with the same respect and responsibility that you would bring to a traditional employer. Don’t Accept the Wrong Jobs. Sooner or later, nearly every freelancer is tempted to take a job they really aren’t suited for. It could be because you are in a slow period or because you’re trying to help someone out. Don’t do it. Refer these jobs to someone else. Stay Organized. Did you know that being messy can slow you down? It’s true. If you’re disorganized, you are more likely to misplace things and spend extra time trying to find them when you need them. Get organized and make better use of your time. Don’t Panic. If something goes wrong, remember that you’re likely not the only one who has had to face a challenge. If you panic, you’ll wind up making the situation worse. Instead, stay calm and try to work things out. Keep the Kids Occupied. Many freelancers work from home–sometimes with young children about. Depending on your child’s age, you may need someone to watch him or her while you work. However, you may be able to distract an older child by assigning an age-appropriate task. Stay Current In Your Field. Most fields are changing rapidly and some of those changes involve doing things more efficiently. You may think that you don’t have enough time to stay current, but you really can’t afford not to. Reward Your Successes. Many employers develop incentives to help motivate their employees. As a freelancer, you can do the same thing. If you finish a project early, why not go watch your favorite movie? Or, treat yourself to a day at the spa. Have a Dedicated Space for Work. While freelancers have the flexibility to work from anywhere, it isn’t a good idea to constantly move your workspace if you can help. While you may benefit from an occasional change of scenery, it’s a timesaver to work from a dedicated space. Let Voice Mail “Screen” Your Calls. Are you interrupted by constant phone calls? You don’t have to answer those calls right away. Let your voice mail answer and then get back to the caller at your convenience. Bonus tip: Don’t Do Housework During Work Hours. If you’re like most freelancers and you work from home, it can be so tempting to do housework and other chores during the time you have scheduled for work. Don’t do it. Keep personal chores and work separate. Do you struggle to get the most from your time? What strategies have you developed for using your time wisely? Share your ideas and suggestions in the comments.